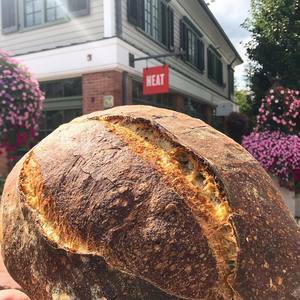 Rob Vankeuren, the owner of Flour, Water, Salt, Bread, a bakery that boasts handmade, naturally leavened sourdough bread and pastries, has just announced that he will be opening a bakery in Darien, next to Espresso NEAT at 194 Perry Ave. He wrote on his business Facebook page, "Unfortunately, I’m no longer able to bake and sell in the Norwalk/Silvermine location. I am looking for a place to bake and sell as an interim solution. I appreciate your patience, your continued business and support. I will do everything in my power to find a way to get back to baking for you as soon as humanly possible." Keep an eye on Rob's website www.flourwatersaltbread.com and on Flour, Water, Salt, Bread Facebook/Instagram pages for updates.